Coaching Kit is designed with security and the privacy of confidential information as our top priority. 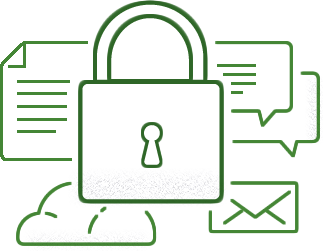 Whether you need a fully HIPAA compliant tool, or just want to ensure your online communication to and from clients is safe and confidential, Coaching Kit provides powerful features matched with a system you can trust. Coaching Kit uses the same 128-bit encryption (for data transmission) and strong physical security (around our servers and your data) that banks use.